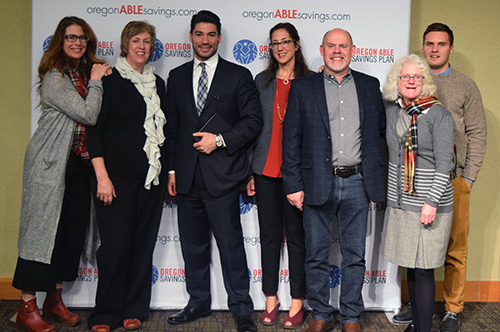 In December of 2016, the Oregon ABLE Savings Plan became available to individuals in Oregon. ABLE savings plans allow some individuals with disabilities to create tax-advantaged savings accounts —similar to 529 college savings plans. These tax-advantaged savings accounts can be used to cover qualified disability expenses such as education, housing, and transportation. When Oregon began to explore the idea of building a savings plan, All Born (in), along with representatives from many entities across the state, joined the state-wide task force and helped shape the Oregon plan, to ensure that it was built with person-centered values and be as accessible as possible to adults with developmental disabilities.